If you are an adult, and you have asthma, you may have had it since childhood. If you have had asthma since childhood, you probably know what triggers your asthma attacks. If you know what triggers your asthma attacks, you may be able to prevent some of them from occurring. 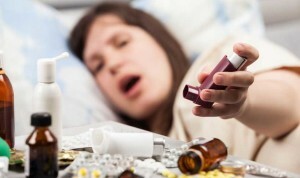 However, many people are rushed to their local emergency room due to severe asthmatic episodes. It is possible to manage your asthma so that your attacks come less frequently. Most likely, if you have asthma, your doctor prescribed a couple of inhalers for you. One inhaler would be used only as a rescue inhaler, and the other one would be used every day twice or more times a day. Asthma doesn’t have to interfere too much with your life. You have to learn how to manage your medications and your activity level. If you are active, you can remain active as long as you take your medicines, inhalers, and breathing treatments, if indicated. It is important that you live a healthy lifestyle, which means to eat right, get enough healthy exercise, drink plenty of fluids and don’t smoke. In fact, if anyone smokes in your house, you need to put a stop to it immediately, because cigarette smoke contains poisons and irritants that will bring on an asthma attack. It is important that you are not around anyone that smokes tobacco products. Some people with asthma probably inherited it from one or both of their parents. If you had asthma as a child, you might have inherited it. However, not all asthma is inherited. It is also possible that a weakened immune system can be one cause of asthma, and it may also be possible that one gets asthma due to environmental factors. Though we may not know what causes asthma, we do know that asthma is chronic. The person with asthma has an inflammatory process going on in the smaller airways. The branches of the bronchial tree get smaller and smaller until the bronchioles end at the alveoli of the lung. The inflammatory process of asthma can spasms of the smooth muscle of the respiratory tract, and prevent the flow of air to reach the smaller branches. As a result oxygen cannot pass from the alveoli of the lung into the blood. Conversely, the carbon dioxide cannot pass from the blood into the lung to be blown off. 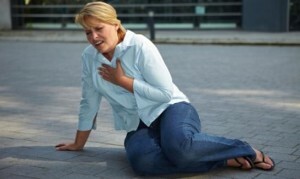 An asthma attack can be life threatening when the flow of air is obstructed. It is important to learn what your asthma triggers are, so that you can avoid them. Oftentimes, asthma is caused by allergens. Unless you live in a bubble, you are going to be exposed to allergens. Allergens are those substances that cause allergies, such as pollen, dust, dust mites, pet dander, and a host of other substances. If your asthma is due to an allergic response to something in the air, you may want to speak to your doctor about taking an antihistamine during the seasons when pollen is most prevalent. Pollen is active during the spring, summer and fall months. Ragweed is one of the worst triggers for asthma, and it is most prevalent during the late summer and early fall months. Your doctor may put you on a maintenance dose of antihistamines to prevent the histamine response that causes the airways to tighten up. If you know that your asthma is worse on days when the pollen count is higher, then you might need to stay inside on those days. If one of your triggers is cigarette smoke, then you will have to address that issue also. Air purifiers strategically placed within the home will help to clean up the air within the home. The air purifiers should have HEPA filters to ensure that the smallest of particles in the air will be removed from the air. Your doctor may also prescribe a routine asthma medication to be taken daily. The medicine could be taken by mouth, or it might be from an inhaler. There is a powdered asthma medicine that inhaled that is good to keep the airways open. The daily doses of inhaled asthma medicine are not to be used in emergencies, because they are only to help keep the airways clear. For emergencies, your doctor may order a rescue inhaler that will help you to recover from the attack.